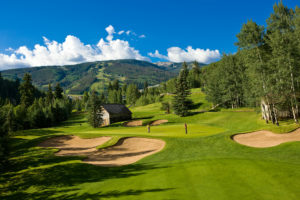 Experience the beauty of summer in Beaver Creek with the unique opportunity to stay and play our three golf courses. #1. Earn bragging rights by playing all three of our world-class courses. Tom Fazio designed course at Red Sky Golf Club, Greg Norman designed course at Red Sky Golf Club, and Robert Trent Jones, Jr. designed course at Beaver Creek Golf Club. #2. Save money on lodging and golf rates when purchased together. Choose from three courses and dozens of premium hotels in the Stay & Play package. #3. With stunning views and exciting wildlife around every corner, there are no boring holes. 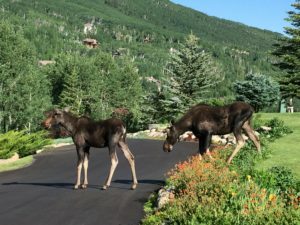 You might spot black bears, marmots, moose or elk roaming the courses. #4. When you finish your round, experience musical performances, culinary delights and fun for the whole family. 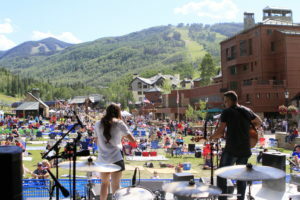 Stay updated on Beaver Creek’s premium events and weekly programming. #5. Be treated like a member. Whether you are a first-time golfer or a well-versed pro, you will be treated like one of our own. #6. 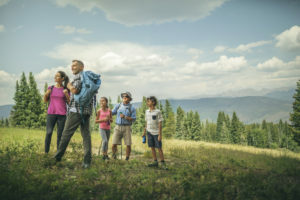 Create unforgettable memories as you reconnect with friends, family and nature. #7. At 8,000 feet elevation, your drive will soar father than ever. 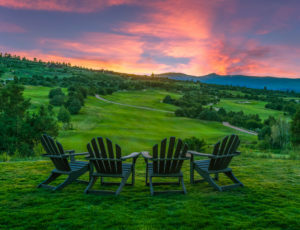 You will never forget sunsets at Red Sky Golf Club’s Silver Sage Restaurant. Eucalyptus-scented towels are served to you on a silver platter after your round at Beaver Creek Golf Club. #10. 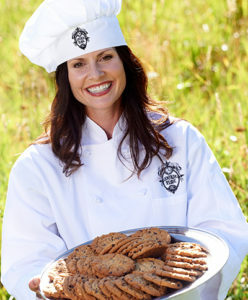 Treat yourself to our exclusive cookie time. Everyday at 1 p.m. at Beaver Creek Golf Club, at 3 p.m. in the Beaver Creek Village, or all day at Red Sky Golf Club. #11. Spend time with your kids or teenagers on the course as they get to play for free with a paying adult. 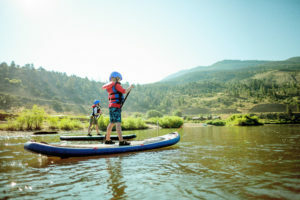 Or your kids can participate in unique adventures at Kids’ Day Camp while you’re on the course. #12. 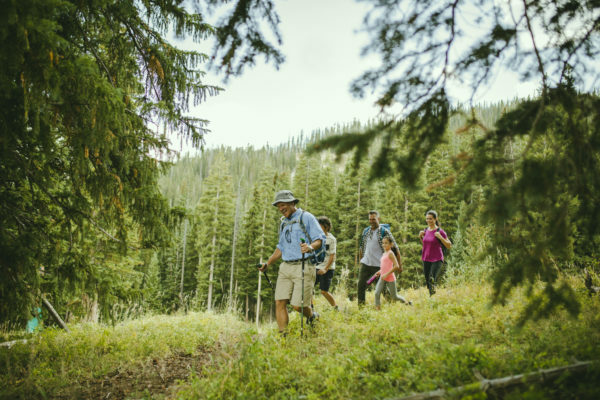 Take advantage of your proximity to Beaver Creek’s world-renowned village. 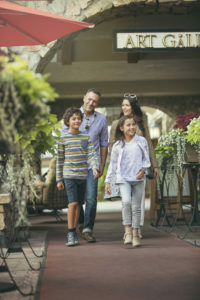 With dozens of shops and restaurants to choose from, it’s fun for the whole family. #13. Visit the Adventure Center for unique mountain experiences. You can rent bikes, go for a hike, take a 4×4 adventure tour, indulge in a wine excursion to Beano’s Cabin and much more. #14. 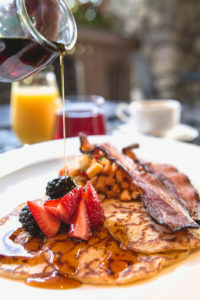 Picture your perfect round while enjoying delicious American fare breakfast. Before you tee off, dine at Beaver Creek Golf Club’s Rendezvous Restaurant. #15. Cozy up to big name artists. Visit the Vilar Performing Arts Center for an intimate concert experience. #16. Elevate your game with a private lesson from one of our certified golf professionals. Or participate in clinics, offered weekly to all ages. #17. Discover hidden gems you can’t find anywhere else. Pro golfer Holden’s historic barn on hole #15 at Beaver Creek Golf Club was built in 1918. #18. It doesn’t matter what time you tee off, the mild mountain climate will keep you comfortable throughout the day. With three unique courses to choose from, play them all for a new and exciting experience each day. Take in dramatic views of the surrounding mountains and Vail’s back bowls at the Greg Norman designed course at Red Sky Golf Club. Experience the majesty of Castle Peak and unbeatable sunsets at the Tom Fazio designed course at Red Sky Golf Club. 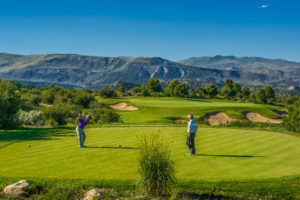 Put your skills to the test on the double black diamond tees, playing slightly over 6,600 yards, at the Robert Trent Jones, Jr. designed course at Beaver Creek Golf Club.